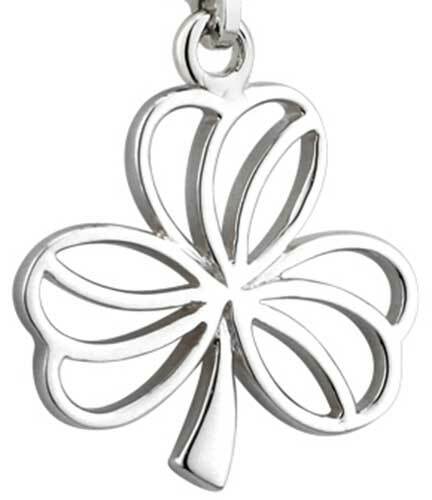 Shamrock earrings feature sterling silver construction with an open motif. 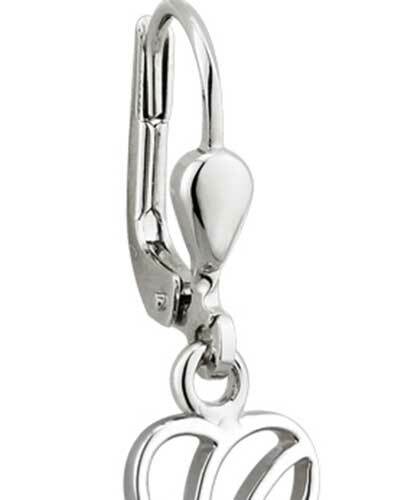 These sterling silver shamrock earrings feature an open style. The drop shamrock earrings are on latching Eurowires and measure 1/2" wide x 1 1/8” tall, from the bottom of the stem to the top of the wire. 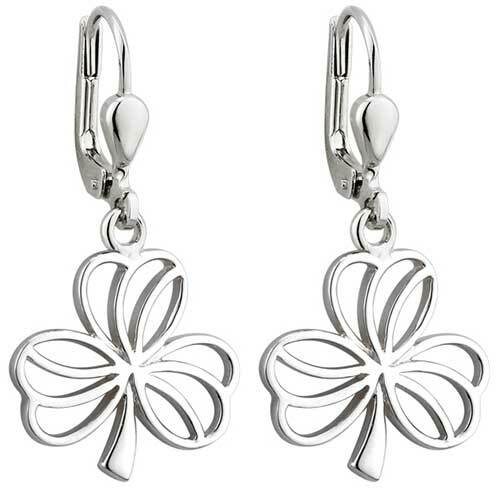 These dangle earrings are made by Solvar Jewelry in Dublin, Ireland and are gift boxed with a shamrock history card, complements of The Irish Gift House.